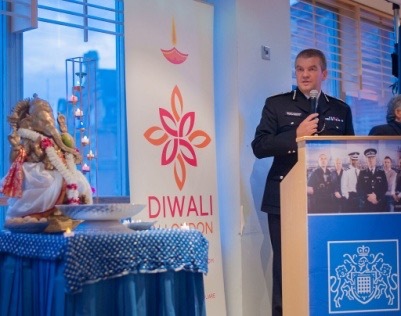 On Thursday 17 September, at New Scotland Yard, headquarters of the Metropolitan Police Service, on the auspicious occasion of Ganesh Chaturthi, Metropolitan Police Hindu Association hosted the 2015 launch for Diwali on Trafalgar Square, on behalf of the Diwali in London Committee, to thank the participating and organising partners, especially the Mayor of London. One month ahead of the main event, on 11 October 2015, representatives of the GLA events team led by Lieren Stubbings, Zee TV, Lebara, and the Diwali in London Committee members from : Akademi, Art of Living, BAPS Swaminarayan Mandir, Brahma Kumaris Spiritual University UK, Brahmin Society North London, Chinmaya Mission, City Hindu Network, ISKCON, National Hindu Students Forum, Oshwal Association UK, Sai School of Harrow, Telegu Association London and Vishwa Hindu Parishad Ilford, gathered together to announce the forthcoming largest Diwali stage show in Europe. Guests were welcomed with an offering of special Indian sweets called laddu and pure vegetarian chocolates. 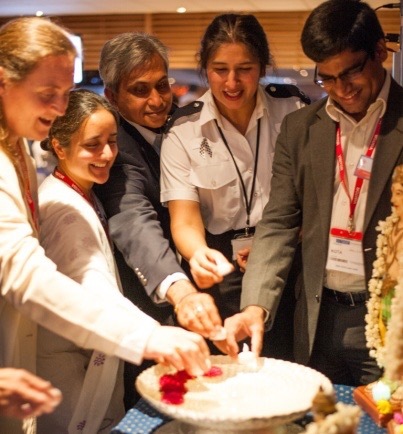 The launch was opened by the lighting of candles led by the Met's Assistant Commissioner, Martin Hewitt, head of Professionalism, Lieren Stubbings senior events manager from the Mayor of London's Office, RH MP Bob Blackman, Chair of All Party Parliamentary Group for Hindus, Pradeep Prathap, representative of Kerala Tourism and Satya Minhas Deputy Chairperson of Met. Police Hindu Association and the 2015 Chairperson of Diwali in London Committee. Mr Hewitt welcomed guests to New Scotland Yard and commented on how beautiful the Peelers Function room looked with the Diwali themed decor. He stated striving to achieve the victory of good over evil is what over 48,000 people in the Metropolitan Police Service work towards on a day to day basis. He highlighted the need for police officers and staff with language skills including Hindi, Punjabi and Bengali skills as well as cultural awareness to enhance policing capabilities. He closed by requesting guests to engage with the officers attending Diwali in Trafalgar Square and wished everyone a happy Diwali. Also present were DAC Helen Ball Specialist Operations HQ and Sandra Looby OCU commander for Parliamentary and diplomatic protection. Divine Bhajans (devotional songs) were sung by 20 year old, Radhika Davda, from East London, dedicated to Lord Ganesh and Lord Ram, the deity at the centre of the Diwali celebration. 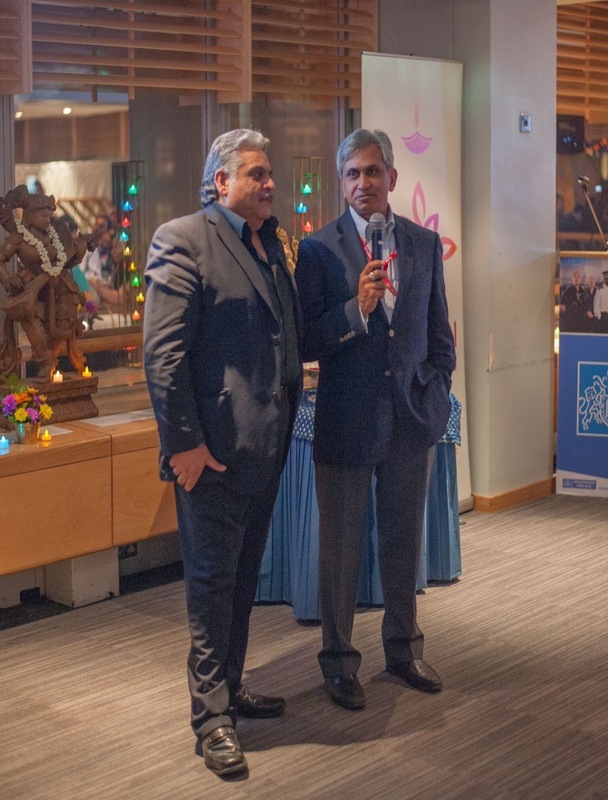 The Peelers function room, at New Scotland Yard, was lit up with colourful divas and intricately carved figures as well as a grand Lord Ganesh murti (statue), who had made the journey from Murugan Temple in East Ham to grace the event. Bright murtis of Lord Ram, Sita Ji, Lakshman Ji and Hanuman Ji, honoured with fresh jasmine garlands were glowing gently in the candle lights. Breath taking and dramatic classical dance performances depicting the legacy of Diwali titled Satyameva Jayate (the truth alone triumphs) by the Arunima Kumar Dance company, with participants including Arunima kumar , Archana Patel, Pranjula Singh, Ranjitha Chowalloor and Sravani Vettukuri were enjoyed by the 120 prominent guests in attendance. A delicious pure vegetarian feast was enjoyed by all. The 2015 theme for Diwali in London is 'welcoming the return of Lord Ram to his kingdom of Ayodhya and legacies of valour, unity and sacrifice in pursuit of peace and freedom. The event concluded by the guests in attendance being invited to offer their Diwali wishes and blessings. This year’s Diwali on Trafalgar Square event will showcase a children's Diwali parade, participation in traditional garba dancing, a wonderful stage show, the opportunity to wear a sari, a children's Diwali activity marquee, participation in Yoga and Indian dance workshops as well as delectable varieties of authentic Indian vegetarian cuisine and many more Diwali delights. They thanked Pure Heaven, Sunmark, Rajbhog Catering and Prakash Radhakrishnan photographer for supporting the launch. 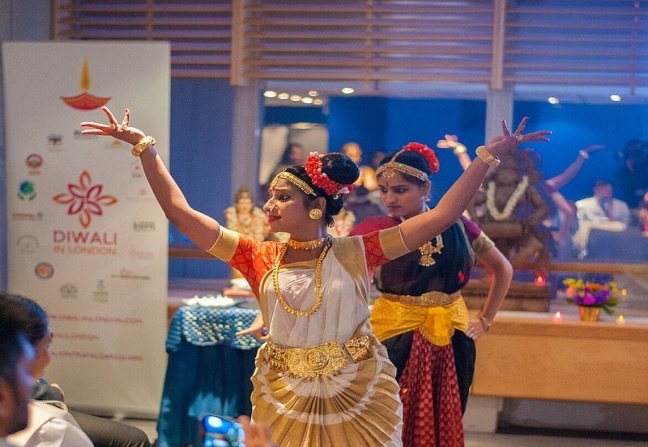 They also thanked Zee, Lebara and Kerala Tourism for supporting Diwali on Trafalgar Square.